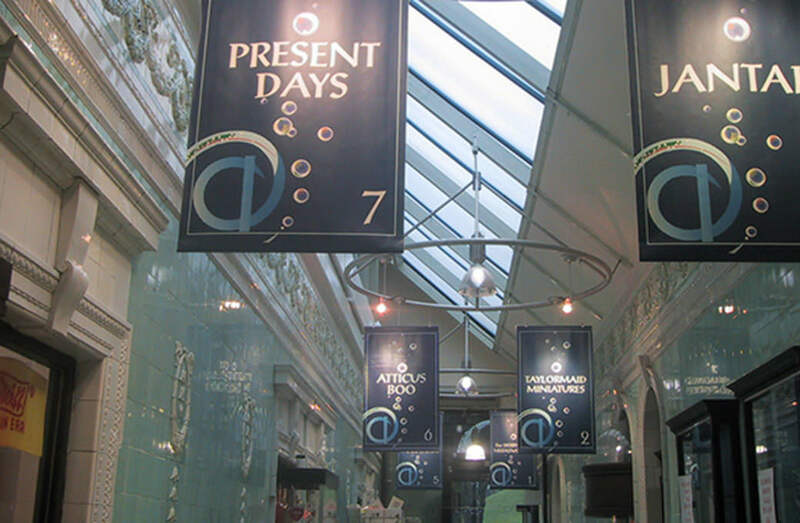 The former thermal baths in Buxton had been converted into a shopping arcade which had become dowdy and insensitive to the important, historic fabric. Our task was to sensitively upgrade the building, add retail floor space and draw attention to the main entrances to the building. We used contemporary materials, including stainless steel and glass to provide a contrast between our interventions and the original building and spiral stainless steel water features integrated into the Victorian railings to help to define the entrances. This has worked very successfully and has achieved a much higher footfall, a much enhanced image and a closer relationship between the building’s present and historic uses. 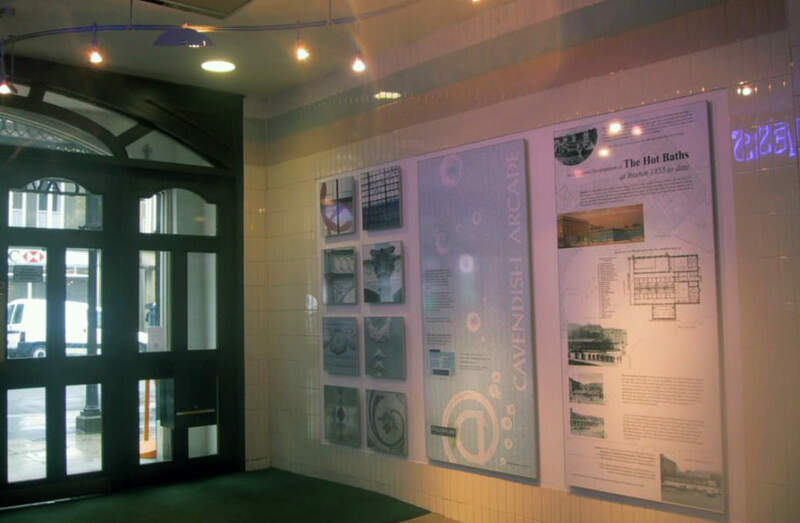 We also designed a permanent exhibition to explain the building’s history.